What’s in a Corporate Identity? Some business owners aren’t 100% sure what a marketer means when they say ‘corporate identity’. It can seem like an ambiguous term. Put plainly, a corporate identity communicates your brand visually (more on that, here). Today, we’re going to jump right in to the different elements that form your corporate identity. Your logo is the essential branding element. In a design that you can reduce to an inch, you’ll have to communicate what you stand for: Your style, how you connect with your audience, your values… no pressure, right? You should have a professional graphic designer work on all your visuals, but if you only want to pay for one single design, let your logo be it. Please. Often overlooked, a professional email signature has incredible power. A well-designed email signature communicates professionalism and attention to detail – two things that are crucial no matter what business you’re in. 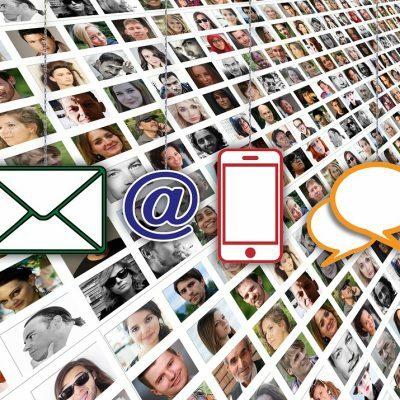 Think of your email signature as your digital business card. Make sure to include your essential contact info and logo. We recommend keeping it clean and lean but could be worth including a final message you want to leave with your contacts, like a cool new award you won or tradeshow invite. Steer away from creative fonts and bold colors (unless it’s part of a purposeful design). No caps, italics or underlines allowed either. Yes, you still need a business card. No, texting a prospect so they can save your number is not a good business practice. A professional-looking business card tells people that you are serious about your business, that you’re not just selling speakers out of the back of a truck. Not to state the obvious, but we’ve seen it all. Please include all your contact methods in your business card. This means phone number, email, website and physical address if you have a storefront or office. If your company name is not intuitive to what you sell, make sure your slogan is something people remember what you offer days or months after they met you. Please avoid images or cute graphics on business cards – or anything else that doesn’t facilitate future contact. 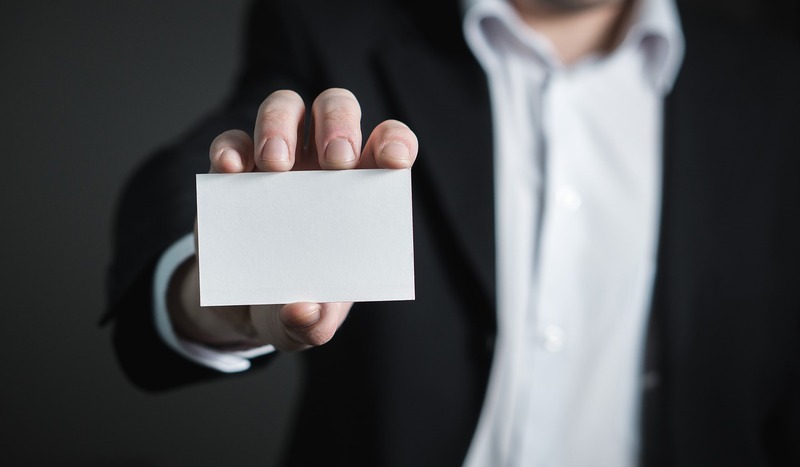 A business card is a contact info tool, it’s not what closes a sale. Just like a brochure, you’ll also want to make sure the design reflects your branding. Mind the font you use. Stick to classic, easy to read fonts in colors that contrast with the background. If you want to get fancy, do it with a good paper option, clean design or you can consider an interesting size/shape (depending on your audience and your company). While stacks of boxes with printed letterheads is well on its way to being a thing of the past, you can’t discount the value of a well-placed digital letterhead. Documents such as proposals, estimates, invoices, thank you letters, and other formal correspondence should always include your letterhead. You’ll want to send PDF versions of the docs that include your letterhead (in fact, you’ll want to send PDF versions of all the docs you send digitally) because design can shift if the other person is opening the doc on word vs. pages or other apps. Interested in taking to a pro about your corporate identity? We’re here to help!